Capturing new perspectives to reach new heights. Heavy-lift marketing and video production. 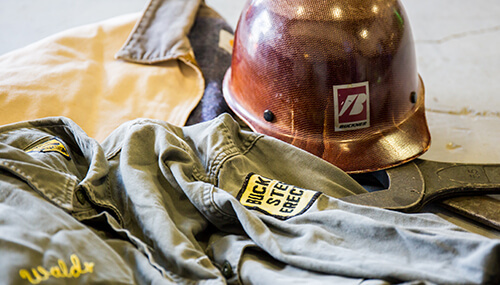 For over 70 years, Buckner Companies has led the country's largest and most complicated construction projects. However, their website did not demonstrate the true scale of Buckner Companies' capabilities. 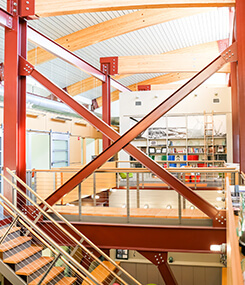 Using on location video production, TriMark Digital helped Buckner's Companies website visitors see a bird's-eye view of a large scale steel erection project. With a redesigned website, photography and large scale on location video production, Buckner Companies now showcases its extensive fleet for prospects, along with some of the largest heavy-lift, steel erection and industrial rigging projects in the world. Buckner needed to make an immediate visual impact on prospects browsing the site, showing the true scale of the projects they specialize in. Our design team created several custom page layouts to accommodate the different needs of the site. To show Buckner's full range of services, we needed to highlight each of their three divisions, along with their state-of-the-art equipment specs and several recent projects that show their machinery in action. We incorporated several subtle animations throughout the site to bring Buckner's projects to life, drawing potential clients' attention to the most important aspects of the page. These cranes are big. Really big. With the only fleet of its kind, Buckner Companies needed new photography to create an impactful perspective of their machinery. 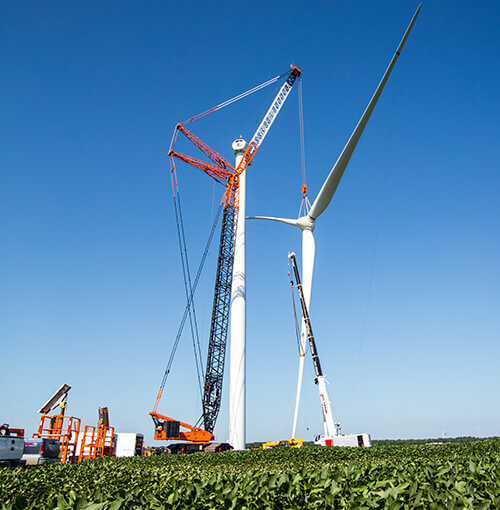 Our team traveled to three wind farms across the country to photograph Buckner’s largest crane, the LR11350. The crane is so massive, our photographers needed a special lens (plus hard hats and safety vests!) to capture the crane in all its magnitude. What better way to demonstrate the magnitude of Buckner’s equipment than to see it in action? Our video team traveled to multiple project sites to create a video highlighting the Buckner Heavylift division. 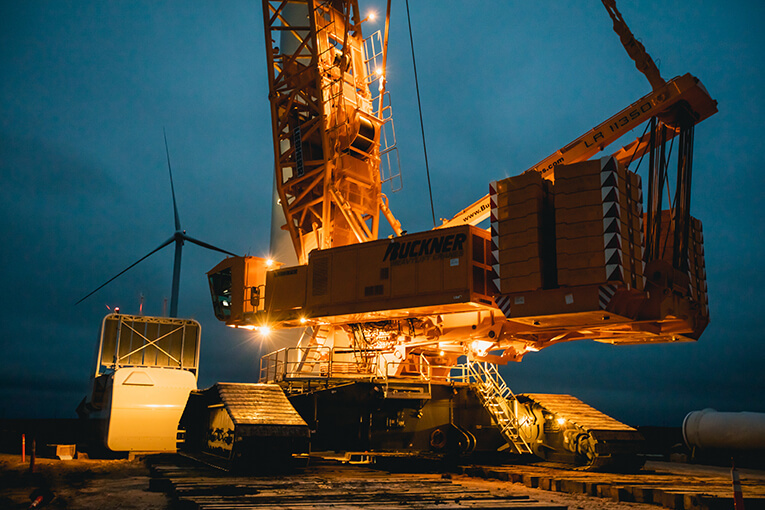 To capture each project in its entirety, we utilized a drone for aerial shots that spanned both across the project site as well as the height of the largest crane, the LR11350. 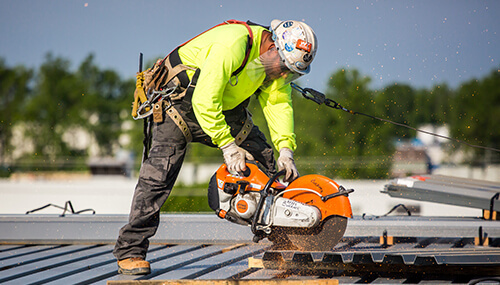 Buckner Companies is a family-owned business, which made it important to incorporate key employees in the video to add more of a personal connection.